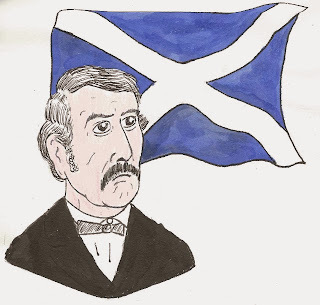 Well I thought it would be good to do another wee sketch of David Livingstone for his bi-centenary on this St Andrews Day but while I did this last night unbeknown to me sad events were playing out in Glasgow, so I think any celebrations will be somewhat tempered. Our thoughts with all who are affected. Loading up for Thought Bubble!